These classic buttermilk biscuits are a Southern favorite. Serve the biscuits for breakfast or along with a meal. Serve hot and have butter on the table for spreading. This biscuit recipe makes great Southern-style biscuits. It's a basic recipe with buttermilk, lard or shortening, and butter. 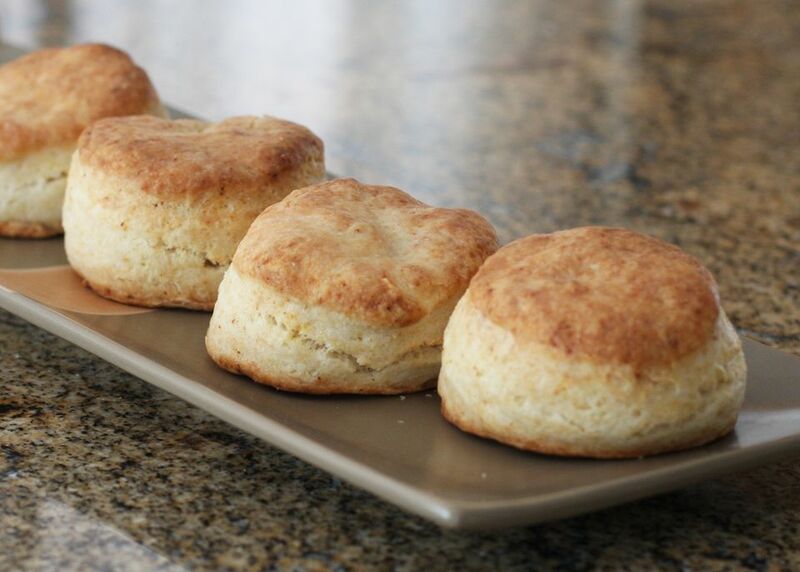 *If possible, use a light southern-style flour in this biscuit recipe. Heat oven to 450° and have oven rack in center position. Cut in the cold shortening and butter until you have pieces the size of small peas. Make a well in the center of the flour mixture and pour in the cold buttermilk. Stir gently until the mixture is just holding together. If necessary, add a few more teaspoons of buttermilk. Transfer the dough to a lightly floured surface and pat out into a 1/2-inch thick circle. Cut out biscuits with a 2 1/2- to 3-inch cutter and place on an ungreased baking sheet. Bake for 10 to 12 minutes, until tops are lightly browned.